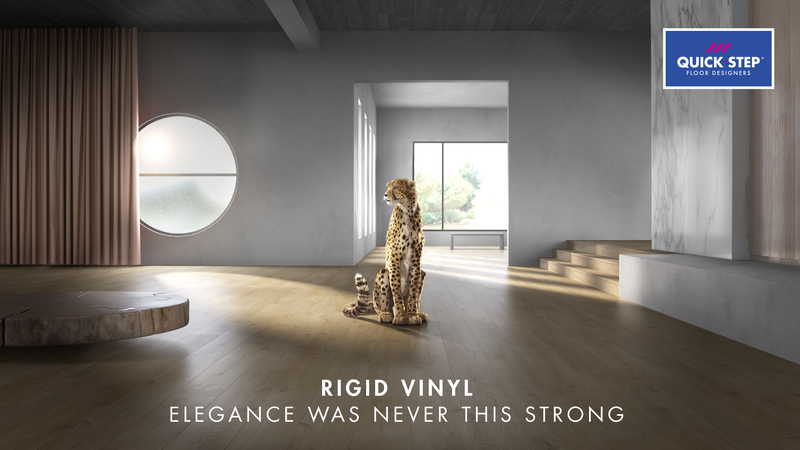 International launch of the new Rigid Vinyl floor. DEFINING A LOVE STORY BETWEEN BEAUTY AND PERFORMANCE. Everyone knows the name of Quick-Step floors. 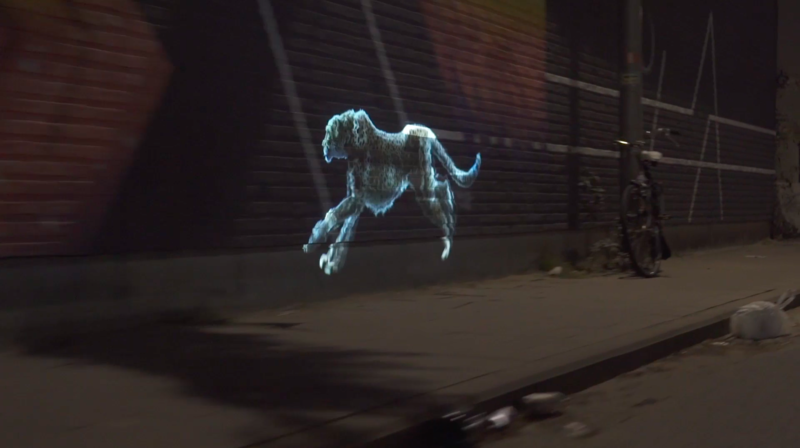 But only a few know how strongly this company is committed to innovation. Their wooden, vinyl and laminate floors are the best on the market in terms of design and performance. So it was time for Bowling Brands to let the brand evolve from a do-it-yourself choice to a top quality floor for the entire house. ELEGANCE WAS NEVER THIS STRONG. 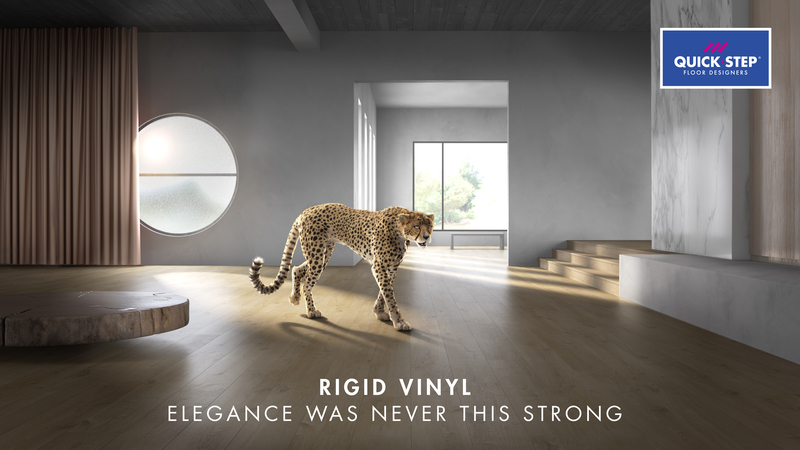 At Batibouw 2019 we kicked off the international launch of Rigid Vinyl: a vinyl floor that is highly distinctive because of its design and strength. 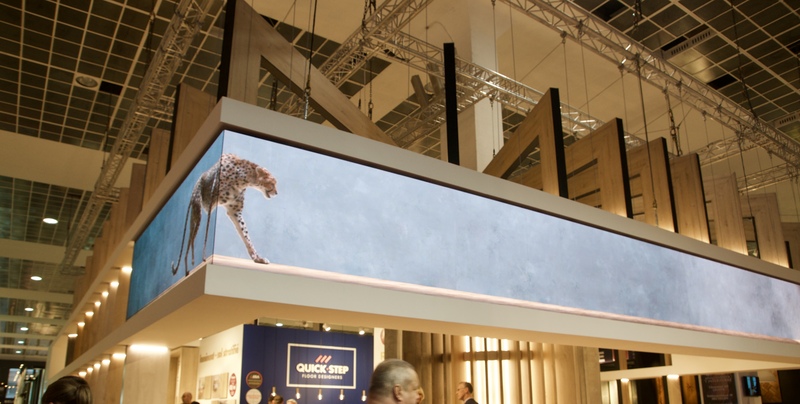 Bowling Brands created the campaign baseline “Elegance was never this strong” and reinforced this by creating a striking icon that also stands for elegance and power, namely a cheetah. Because performance is such an important driver for Quick-Step, the campaign should be just as innovative. So to introduce the new floor to their different retailers, Quick-Step sent a B2B-mailing to trigger them. The mailing contained a special video with one very clear message: the newest Quick-Step floor is in town and it’s coming your way.